You’ll find people of all ages at Christ Church committed to learning from the Bible, as we seek to love and serve Jesus Christ and love one another. We enjoy meeting new people and try to make things as clear and easy as possible for everybody to follow - whether you're new or have been coming along for years. We believe that when the Bible is opened, God is speaking. Our meetings focus on hearing the Bible read and explained. We also encourage one another as we pray and sing a mix of modern songs and more traditional hymns. Plus, there's always an opportunity to stay for coffee and meet one another informally after our meetings. 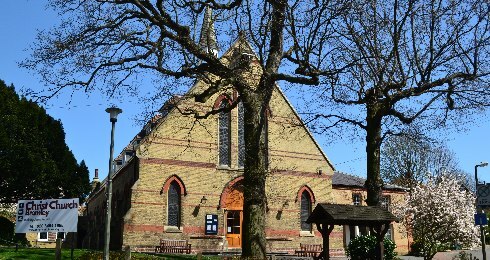 We're part of the Church of England Bromley Deanery of Churches.